Yes sorry, forgot to mention that. I only found the hard way and took me ages to diagnose why unity settings wasn’t working. I tried the same and had the same problem. Sorry again. I cannot disable the touchpad. When I open the “Mouse and Touchpad” settings, there are only entries for the mouse. I can’t STAND the Touchpad as I’m ALWAYS accidentally touching it and making the cursor jump all over the screen. How can I disable it? I noticed the Bionic does not have an /etc/rc.local file. I created one to disable the bluetooth on start-up. Oddly enough, when I boot the computer I can see the bluetooth icon indicating it is disabled but as soon as Unity completes initialization, bluetooth is enabled again. How do I stop that?? You should try to remove the bluetooth manager from Startup Applications in Unity. Thank you for the quick response. You helped me fix BOTH issues. Just a thought, but shouldn’t xserver-xorg-input-synaptics be included with the other packages installed alongside Unity Desktop? It works in gnome shell. And works in unity if logout, log into gnome shell and then log back into unity. P.P.S Shortcuts work now after switching to Nvidia-340.107. 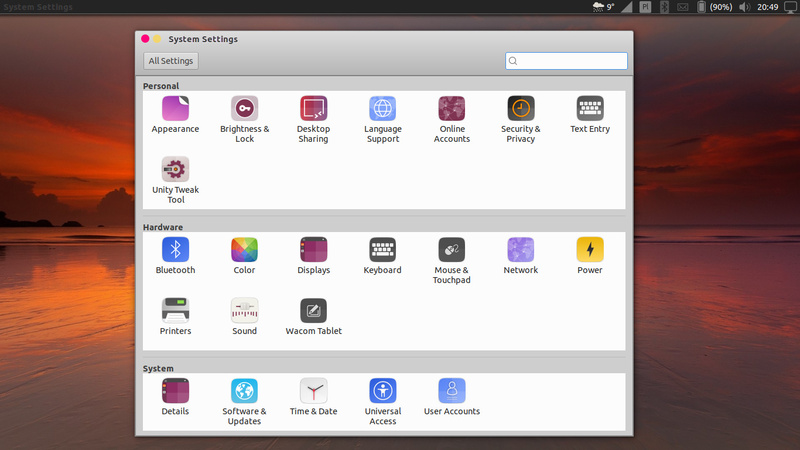 Not sure why 390.87 appears to work with gnome shell and on unity except for some keyboard shortcuts. Hmmm. There is something wrong with unity session in 18.04 afterall. I just installed 16.04 on same machine with same nvidia-driver 390.87 (from graphic driver ppa) and all the shortcuts work. Ctrl+Alt+T opens the Terminal, doesn’t it? Printscreen and this works with Unity. It did in 18.04 and now in 18.10. I don’t have 18.04 any more, it had moved to 18.10. I have only Intel graphics, though. It is Control + Alt t In fact I tried creating custom shortcut for gnome-terminal in settings, still not work. It works on intel machine . On this Nvidia machine it works for noveau and nvidia-340.107, but not for nvidia-390.87 . I found the root cause. Unity uses legacy keygrabber code depending on xdg env variable DESKTOP_SESSION. But since artful DESKTOP_SESSION is “unity” and not “ubuntu”. The fix is in unity7-desktop ppa. In 18.10, add the ppa (ppa:unity7maintainers/unity7-desktop) and upgrade unity-settings-daemon and libunity-settings-daemon. Then restart. Note: The ppa also has the fix for sharing panel. I will update the ppa for bionic later. Update: It is also updated for bionic.